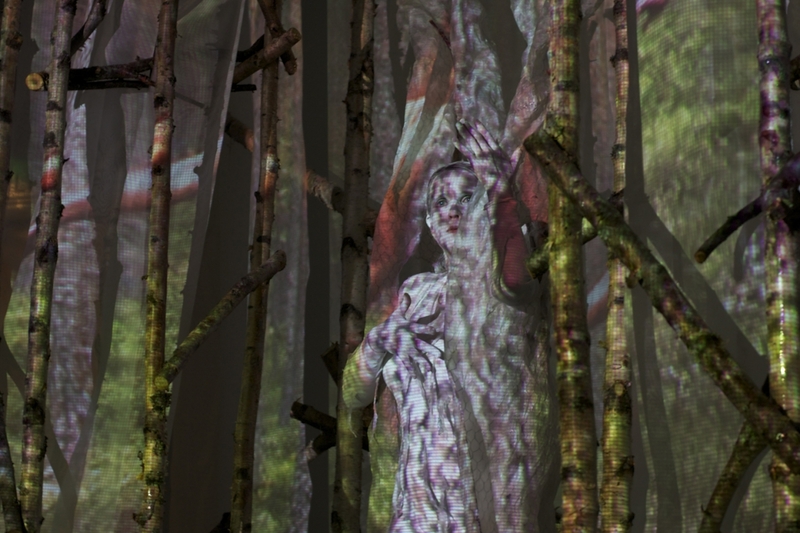 "Limb to Limbs, Flesh & Home" Installation & live performance series, Nelimarkka Museum, Alajärvi, Finland. 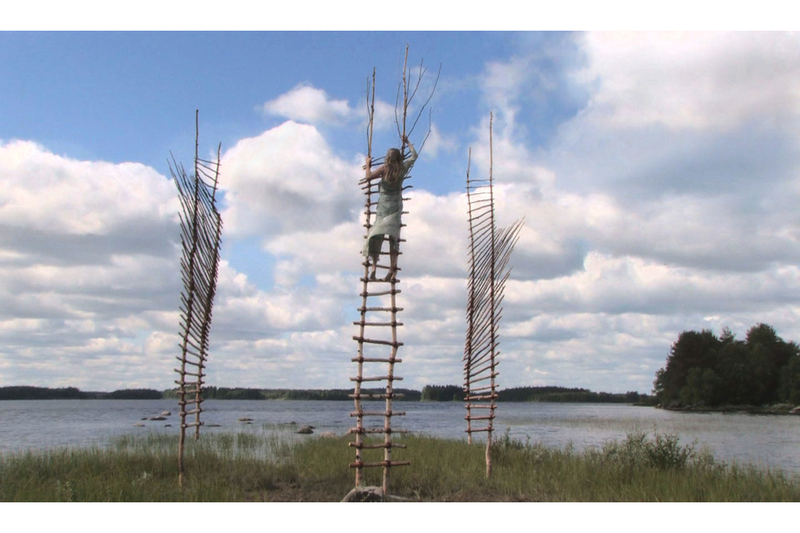 Photographs & video works from this project are included in the Pori Art Museum permanenet collection. "On Moss Rock", Self-portrait in the forests of Koli, Finland. B&W Silver gelatin; 35mm. 1998 (Photo: Cherie Sampson). This photograph and others in this series are part of the permanent collection of the Pori Art Museum. 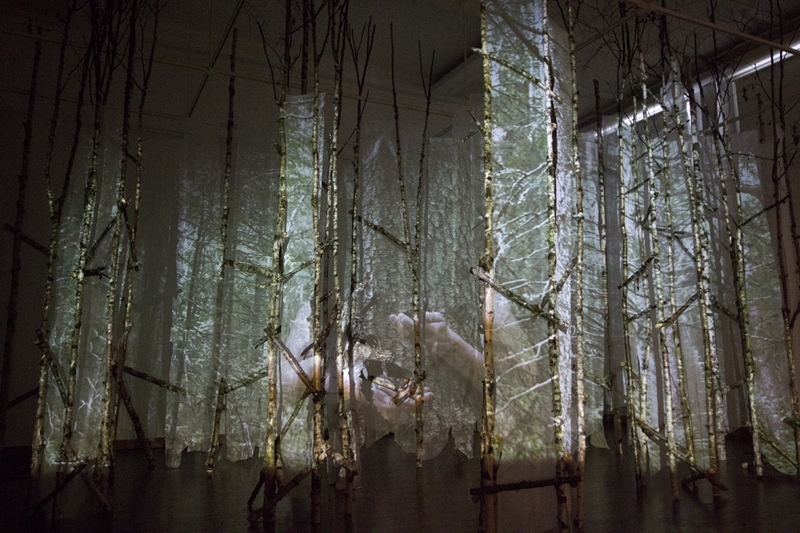 "Through the Moss-Stuffed Chinks Heard Voices." 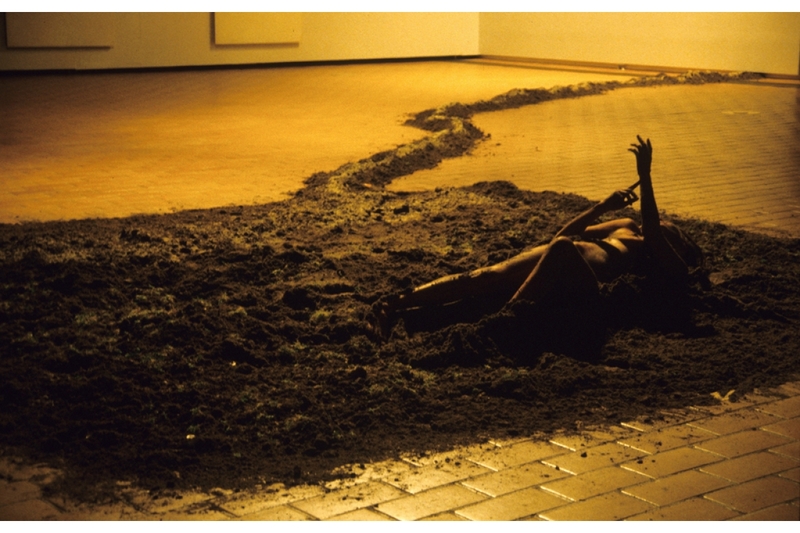 Video-performance, 2011. Koli National Forest, Finland. 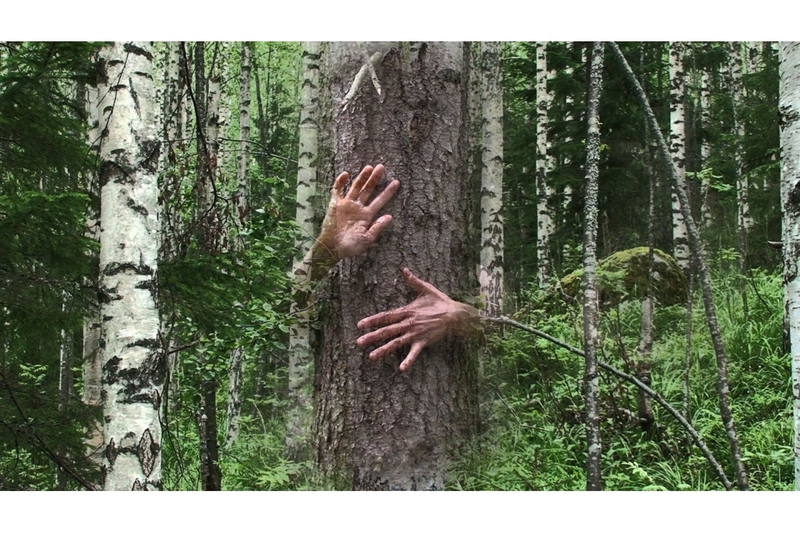 This video is part of the permanent collection at Pori Art Museum, Pori, Finland. 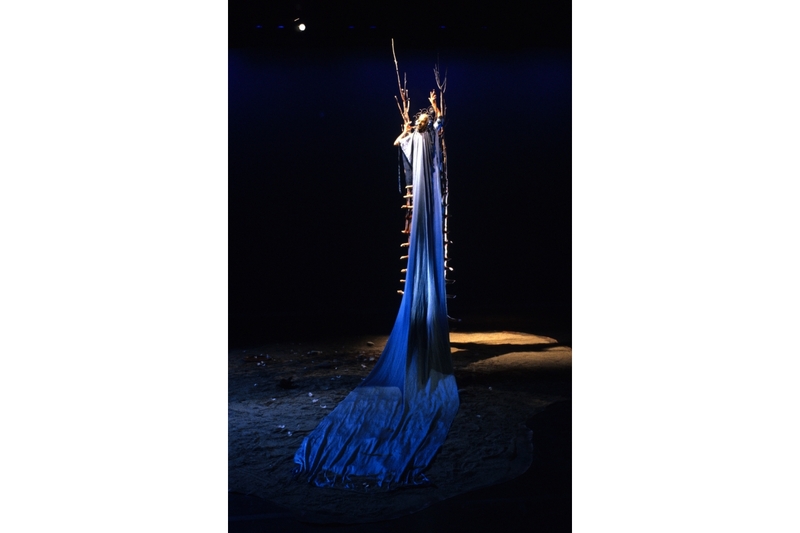 "Her Blue Sea Fire" Live Performance, June 2002, Fairfield, Iowa, USA. (Photograph: Radim Schreiber). 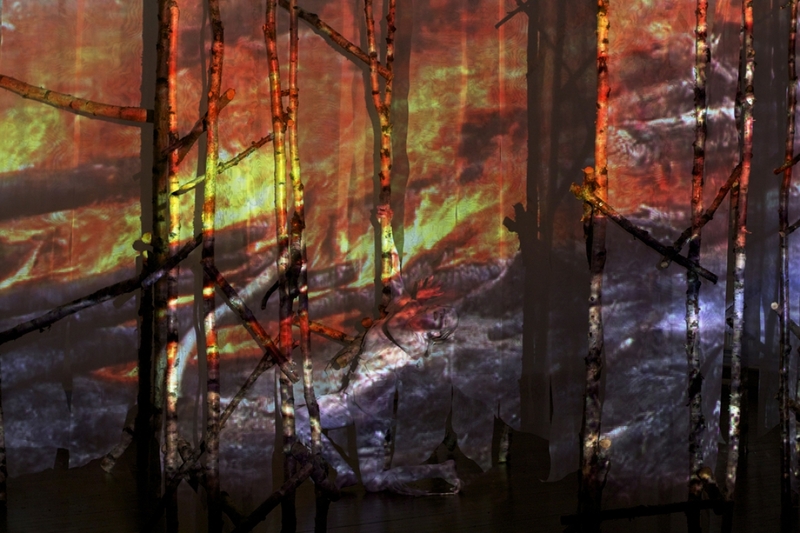 Photographs & videos related to this work are part of the permanent collection of the Pori Art Museum. 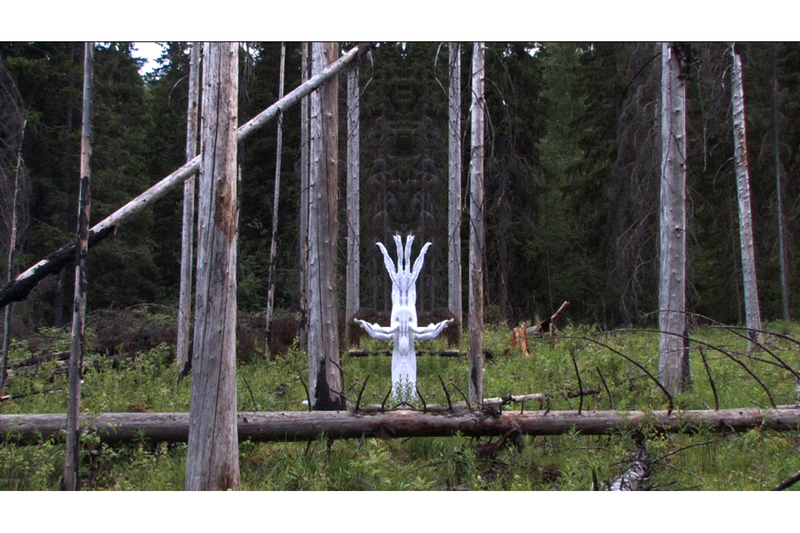 "At the Pole of Heaven," Video-performance, 2012. (Shot at Mekrijärvi, Ilomantsi, Finland in 2008). 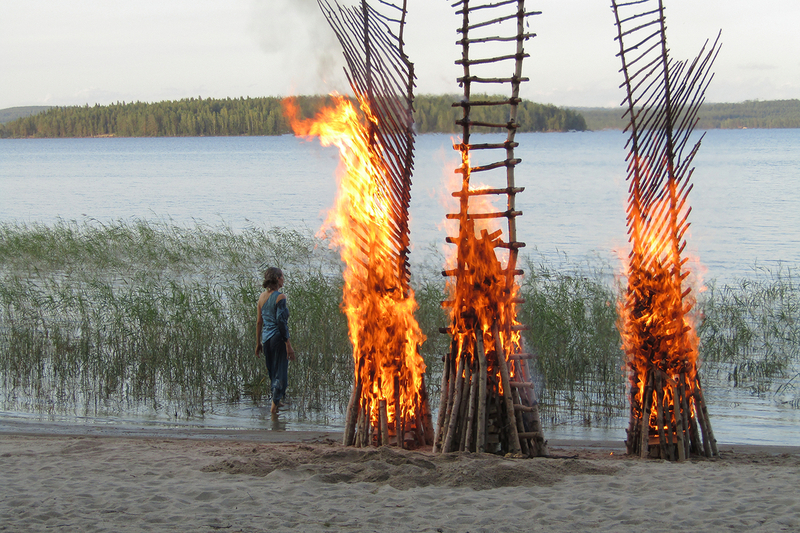 This work is part of the permanent collection of the Pori Art Museum, Pori, Finland. 2015: FIVC Off (Alternative Screen) Festival Internacional de Videodanza, Chile. Official Selection, Festival International de Vidéo Danse de Bourgogne, France. Official Selection, Movies by Movers Screendance Festival, Boone, North Carolina. Biennial Quad State Exhibit, Quincy Art Center, Quincy, IL. 7th Annual St. Louis Indian Dance Festival, Clayton, MO. 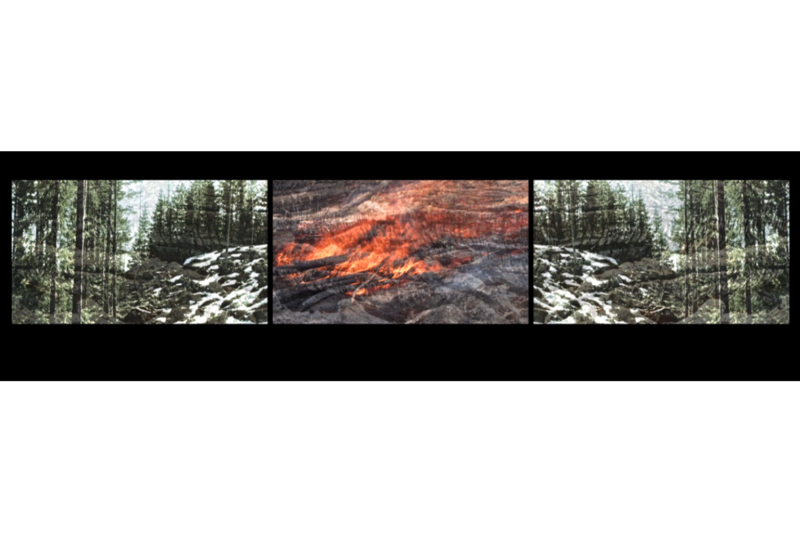 In August 2018, the Pori Art Museum has acquired a collection of 15 art works by environmental performance and video artist Cherie Sampson (b. 1963 Superior, Wisconsin). 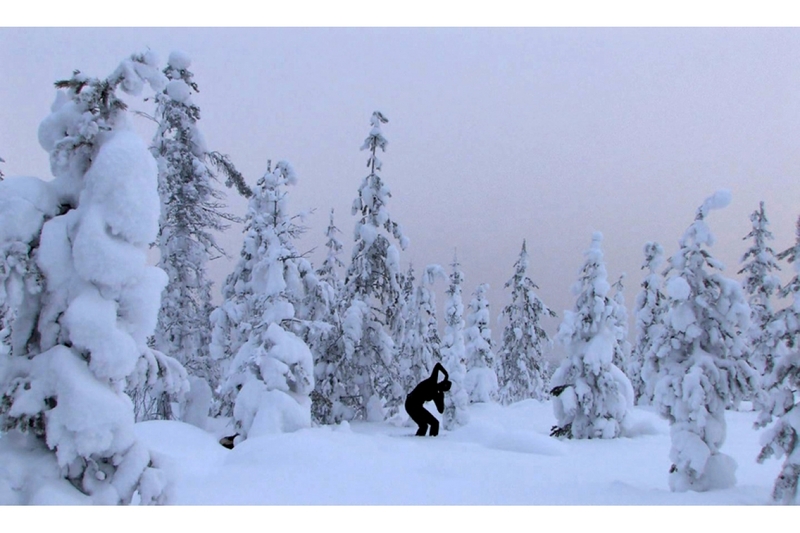 The collection includes works created in the arctic nature of Finland since 1998, including both performance documentation and video art based on the performances. The gifted collection was included in the City of Pori Art Collection and a Cherie Sampson archive was created to complement it. 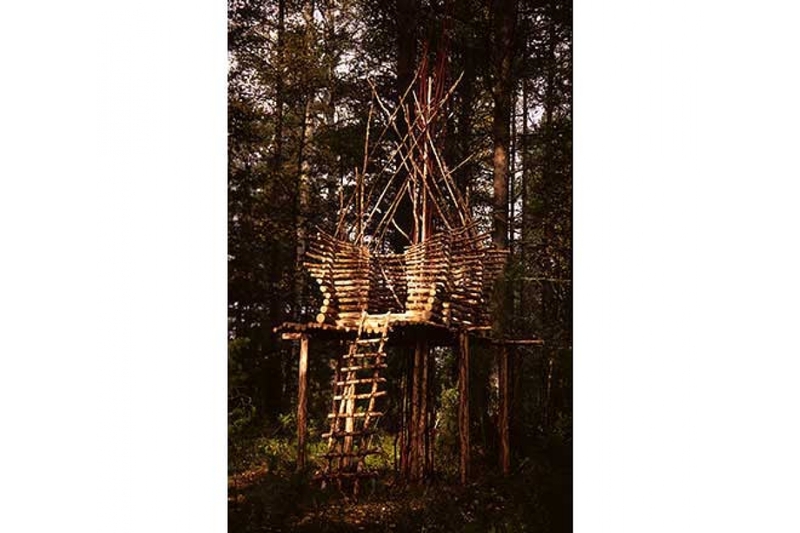 "Pori Art Museum is famous for its exhibitions of international contemporary art. It was founded in 1981 around Professor Maire Gullichsen’s art collection. Pori Art Museum has a background in the tradition of modern art but is focused in its exhibitions and publications on contemporary art. Museum's profile has been characterized by environmental issues such as eco-art, site specific art, identities, multiculturalism, human rights and society – the dialogue between the individual and culture, between the local and the global. Starting in the early nineties, the museum has also focused on developing the possibilities of art pedagogy based on contemporary art. Educational Services help clients of all ages to find new perspectives on art and visual culture. As the regional art museum in Satakunta, the museum hosts large collections and archives of modern and contemporary art."